David Wayne Mangrum of Pegram, Tennessee, passed away at Vanderbilt University Medical Center in Nashville, Tennessee, on April 10, 2019; he was 58 years old. 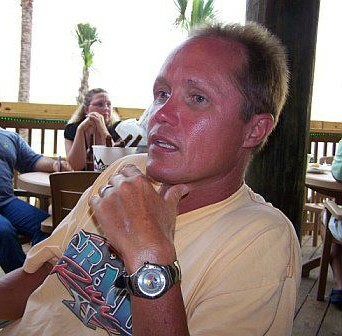 David, preceded in death by his brother, James Mangrum, is survived by his wife of 12 years, Vickie Mangrum; stepson, Andrew Miller; son, Brian Mangrum (Chelsea); daughter, Heather Mangrum; brother, Donnie Keith Mangrum (Paula); parents, Kinley H. Mangrum and Brenice Gordon Mangrum; and fur babies Roxie and Buddy (dogs). Visitation will be Monday, April 15, 10:00 a.m. thru 6:00 p.m., and Tuesday, 11:30 thru 12:30 a.m., with a Celebration of Life beginning at 12:30 a.m.; all at Harpeth Hills Funeral Home. So sorry for your loss Vickey. Prayers for you all. So sorry to hear about David. I always enjoyed working with him when he worked with us at VCH. My thoughts and prayers are with the family. I am so very sorry, Vickie. My thoughts and prayers are with you and yours during this very difficult time. May the Angels of God wrap you in their arms and give you comfort. Love you. I am so sad to hear about the passing of your dear husband David. My thought and prayers are with you. I am so very sorry for your loss, you sweet beautiful girl. You’re in our thoughts and Mom and Dad send their love and light, as well. Wishing peace, comfort, and loving memories for you and yours. So sorry to hear about David. Our thoughts and prayers are with you during this time of sorrow. May God comfort and bless you in the days ahead. I am so sorry to hear about the death of David! You are in my thoughts and prayers as you face this difficult time! I loved working with David back in My Vanderbilt Pediatrics Years. He always had a smile and bubbly spirit to make the kids feel at ease. May God hold you close to His Heart to envelope you with love and support. Prayers for you and extended family 🙏🙏🙏🥰💕😘 Linda B.
I’m so sorry Vickie. My heart is with you I know what it is like to loose your spouce.I’m praying for you comfort and strength.I’m pray Jesus.will hols you close . I am so sorry for your loss. David was a gem in the VUMC MCE Surgery Center. He was always so kind to patients, families, and staff. You and all the family are in my thoughts and prayers. I am so sorry for your loss. I know the past few months have been an extremely trying time for your family. My thoughts and prayers are will you all. I love you. I am here if you need anything! Blessings and peace to you all as you go through this time of loss of your loved one. Vickie, My heart is breaking for you. I know David will be missed. Prayers for you and your family. My new friend, I am thinking of you and am so grateful for you in my life. I can’t imagine what you must be going through but just know that I am here for you as is the rest of the girls in the office. We love you and are thinking of you! I worked with David in MCE. I want you to know how well thought of David was here! He always worked hard and was so kind. We will miss him, as I know y’all do. Vickie, you remain in my prayers during this sorrowful time. David was a close friend and I will miss him greatly. He made many fond memories for me.